The Nationals take the field at 1:05pm against the Mets, having spent last October at home and out of the playoffs, and with all manner of new perspective that failure amid the predictions of greatness. Last year, there were quite a few that put the Nationals atop the NL East and heading deep into the postseason, but they fell far short. This year, the expectations game is different. While the critics are predicting many accolades, there are just as many asking hard questions about the core of the Nationals lineup. 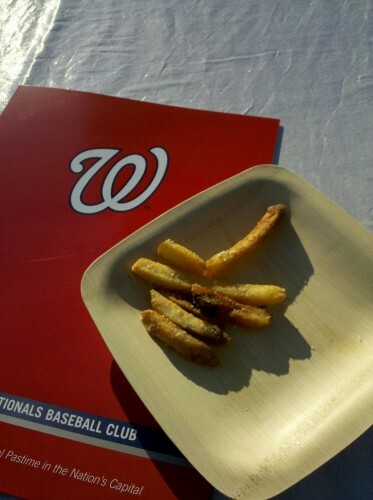 After the fan euphoria of 2012, and the attendant disappointment that went into 2013, Nats fans going into Opening Day 2014 are a lot more sanguine about the franchise. They have every reason to be excited, but yet they understand what it is to be humbled by a 162-game grind that puts even the most well-trained professional athlete through a brutal ringer. That’s not to say that all fans are fatalistic ones, that they toss blades of grass into the wind to find their direction, but rather that this might be the sort of realistic season where the sine curve of fullest rabidity and fullest despair are not vacillated between in an hour. 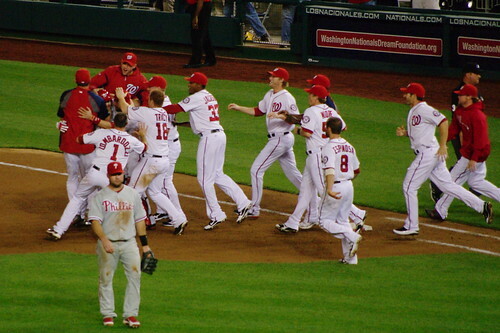 In April, my friend Elliot asked me, “Is it time to believe yet?” when the club was 10-3 and the Nats were the first to ten wins in the majors. Any team can go 10-3 over the stretch of 13 games. 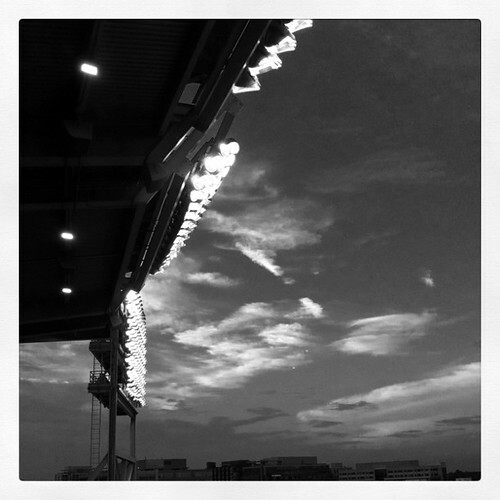 In May, he asked me again, as the Nationals were 26-17, “is it time yet?” and given that the bats had remained somewhat silent, and the lead in the NL East was tenuous, I couldn’t yet pull the trigger, especially with the injury bug that seemed to affect the Nationals, before it was left in Toronto. 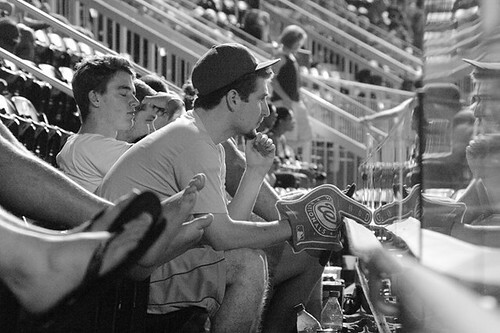 Last night’s 6-5 victory in the 9th was a tipping point for many fans. At 48-32, the Nationals have the 3rd best record in baseball, the best in the National League, and have a four and a half game lead on the second place Braves. They posses the 4th best run differential in the bigs, mostly the product of the last week’s worth of offensive triumphs over the NL West. It’s hard not to look at the pitching staff and just grin, because any series will see one – if not more – of Strasburg/Gio/Zimmermann. The Nationals’ pitching staff carries WHIP (Walks + Hits per inning pitched) rate of just 1.20 – best in the majors, and the lowest opposing batting average at .231. The numbers aren’t the whole story – in fact, the numbers barely begin to scratch the surface. While the Nationals toiled in San Francisco (a game they would lose 5-4 in 13 innings), the front office staff and general manager Mike Rizzo were busy in the war rooms at Nationals Park working out who they would take in the MLB Entry Draft yesterday. 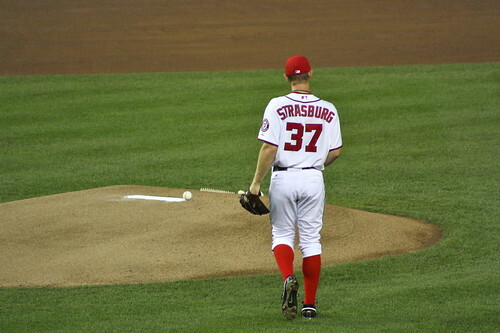 The Nationals have enjoyed the first pick in each of the last two drafts, putting them in the position to take Bryce Harper and Stephen Strasburg, two of the strongest draft picks that the sport has had to offer in a generation. 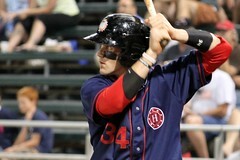 The Nationals added 3B Anthony Rendon with the sixth pick in the draft after three years at Rice University where he hit .371 with 46 doubles, 52 homers and just under 200 RBI in 187 games. Rendon, whose 21st birthday was yesterday, is 6′, 190lbs and was considered to be a plus defender at third, though was quick to tell reporters he’d be happy to play anywhere, so long as it meant playing. The Nationals got a nice present from Mother Nature yesterday: a rainout. A day off at home is about as rare a commodity as you’ll find during the Major League Baseball season. 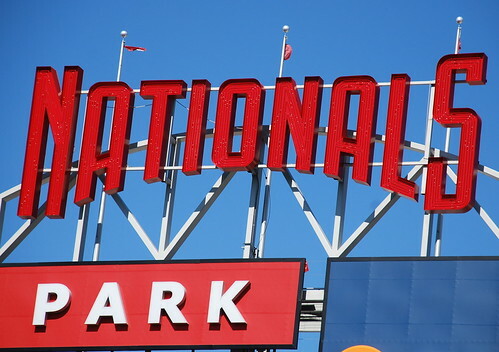 The Nationals leave in the morning for a quick two-game jaunt in New York before three games of interleague play in Baltimore, and then three games in Milwaukee. With a 20-21 record, the Nationals go into their road trip with a 6-4 record over their last ten games. 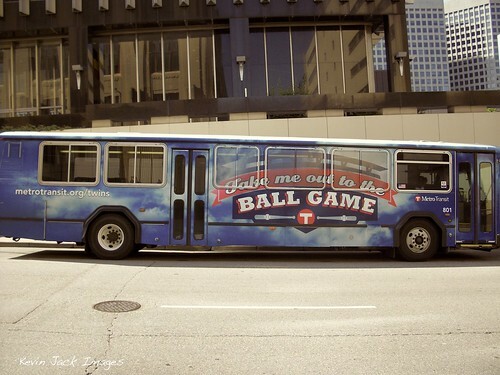 Their trip to New York will see them play the last place New York Mets, who are also sporting a 6-4 record over their last ten games, mostly at the hands of Houston and Los Angeles, who’ve not had strong starts, but also against Colorado, who lead the West. Tom Gorzelanny (2-3) and Livan Hernandez (3-5) will start in New York, with Jordan Zimmermann losing his start due to the rain yesterday. Given that the Nats are trying to limit the returning hurler’s innings this season, a saved start is a wise choice for the club. They’ll likely face Dillon Gee (2-0) and R.A. Dickey (1-5). A split would be the bare minimum, but I’d say it’s possible we’ll see a short sweep. Spring Training is full of common hero tropes, and that’s part of what makes Sports into big entertainment and big drama for the fan. 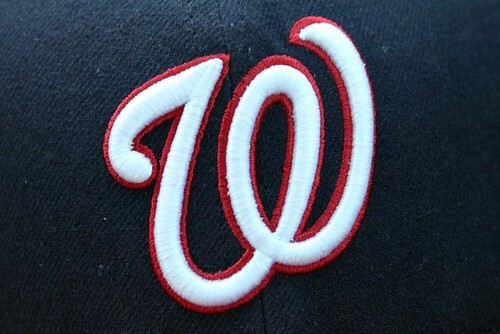 Today, we got a bit of the “underdog makes good” plotlines as the Nationals beat the Yankees 6-5 in the bottom of the ninth off the bat of a young phenom that the club is very excited about. No, I don’t mean Bryce Harper (though he was right there when it happened, he was on second base), I mean catcher Derek Norris. 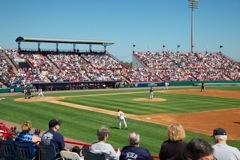 The Nationals are off to quite a start in their Spring Training in Viera, Florida. Their 7-3 start makes it the best start since the club left Montreal, but March baseball isn’t the sort that counts in the longterm. 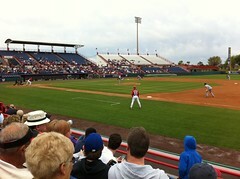 Today’s matchup with the Mets was delayed slightly by a torrential downpour that covered much of Florida, but that didn’t seem to dampen the spirits of the fans or the club. 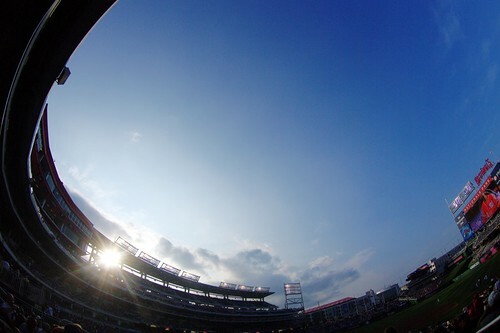 In front of a light audience, the Nationals put on a clinic in the first, getting a pair of singles from Nyjer Morgan, and Ian Desmond, and a nice full-count walk to Jayson Werth put Adam LaRoche up against the Mets’ Mike Pelfrey with no one out and the bases loaded. Another six feet on the ball he crushed to dead center would’ve put the Nationals up by four, but it was enough to put the Nationals ahead by a pair. The Mets would threaten against the Nationals in the fourth, but Chad Gaudin worked himself out of a 1-out jam with runners on the corners with a filthy off-speed strikeout and a well-timed short fly. 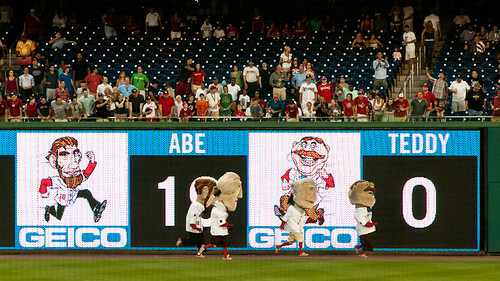 The Nats play a pair today, we’ll have a full wrap of the games after this evening’s tilt against the Astros. 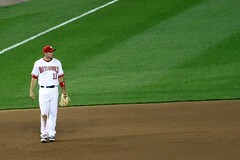 Ryan Zimmerman is a joy to watch at 3rd base. He’s the sort of guy that old school radio announcers loved to call games around. “Zimmerman at Third like a Razor’s Edge!” “Zimmerman makes the play, leaping on that ball like a mongoose!” He’s a phenomenal athlete, and the core of the Nationals’ young franchise. Unfortunately, he couldn’t repeat his Golden Glove performance of 2009. This year’s Golden Glove goes to Scott Rolen of the Reds, who had 9 fewer errors in 6 more chances at third base, as well as five more double plays than Zimmerman. 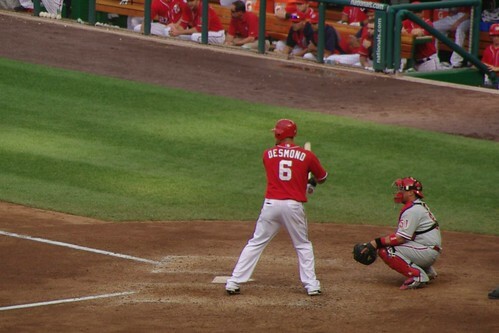 While Zim had a great year for the Nationals, and was largely the team’s MVP, it’s hard to ignore the statistics. Sorry Zim, you’ll get it in 2011.